Is it hackneyed yet for Middle East analysts to declare that “I thought I had seen everything, but now I have really seen everything”? If not, then the sight of former Turkish Chief of Staff, General Ilker Basbug, being arrested and remanded to prison pending investigation into being part of the Ergenekon conspiracy is surely the latest in holy moly moments that I have had since December 2010. Even in an environment where the military has shed a significant chunk of its prestige among the Turkish public, that’s not supposed to happen. The fact that it has is a sign that the development of civil-military relations in Turkey are continuing to move in a direction that makes the emergence of a democratic Turkey more possible. 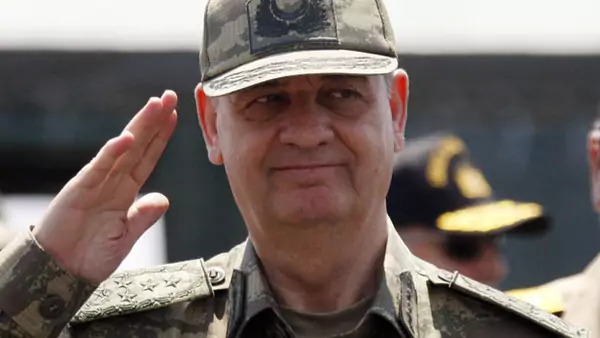 For all the positives of bringing rogue military officers to justice, however, the Ergenekon case seems to have become a conspiracy within a conspiracy. What was once an investigation into a coup plot that promises to dismantle what Turks refer to as the “deep state”—a cabal of military officers, intelligence operatives, politicians, and organized crime—has become a tool for the AKP to go after its political opponents. On historical precedent alone, I am willing to believe that there were a fair number of military officers and civilian collaborators who sought to undermine Prime Minister Tayyip Erdogan and the Justice and Development Party (AKP). To Turkey’s commanders and radical secularist elites, AKP did not represent conservative values and a moderate Islamist worldview, but rather was a reactionary force through which the Genelkurmay (General Staff) was forced by electoral circumstances to make a (temporary) accommodation. After all, Turkish generals had made a habit of reversing the outcome of elections when it produced governments that is disliked. Yet something happened between the coups of 1960, 1971, 1980, and 1997 and 2002 when AKP came to power. Turkish society changed. The ability of the military and its partners to enforce the drab conformity of Kemalism became increasingly difficult as a new class of business people arose, Turkey became more urbanized, and more Turks sought to explore their Muslim identity. When AKP came to power it used the power of its mandates to give political expression to the social and cultural changes already underway in Turkish society. An implicit part of that goal was bringing the military establishment under control. Thus far, AKP has been able to whittle away at the power of the military through the blunt force instrument that is the Ergenekon case. The next step is to formally subordinate the military to Turkey’s elected leadership through a new constitution. The autonomy of the Turkey’s military has been a matter of both formal institutions—rules, decrees, laws, regulations, and service codes—as well as unwritten, uncodified norms and ways of doing things that emerged as a result of past patterns of relations between civilians and military officers. In the not-so-distant past, Turkish politicians campaigned in part on the idea that they would not rock the General Staff’s boat. The only way to break these interlocking formal and informal institutions is through a constitution that clearly delimits the prerogatives, professional competency, and capacities of the armed forces in relation to civilian leaders. The goal is not to render the military powerless to protect the country, but make it hard for the commanders to threaten duly elected governments. Many analysts of Turkey have offered that a new constitution is critical to resolving finally the Kurdish problem. I suppose that is true, but it seems more important for the constitution to establish a healthy civil-military balance. Without civilian control of the military—a hallmark of democratic politics—enshrined in a new constitution, it will actually be much harder to find an answer to many of Turkey’s other pressing problems including the Kurdish issue.